Sniping from cover... This was the first attempt at telescoping. 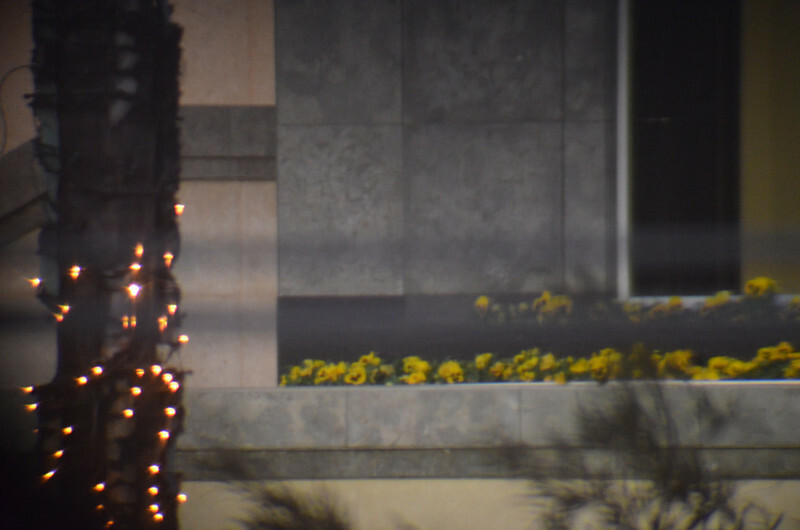 These flowers are in the windows of Hotel on Boulevard (Day 2). No attachments, just focus the 18-55 lens onto the eyepiece of the spotting scope.